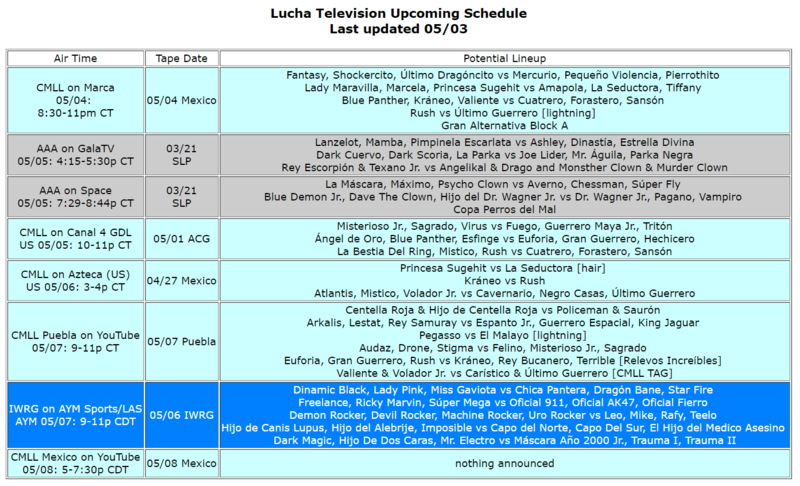 The Gran Alternativa starts tomorrow on CMLL Marca. Really not enough hype for the return of Uro Rocker in IWRG. I just realized that tomorrow is the annual day of the dumb Star Wars pun related jokes. That didn’t have to do with anything, but there’s not much to write about.